Our November Club night is a social gathering to enjoy a presentation from 5 intrepid members & partners, who ventured abroad in the TR's in September. 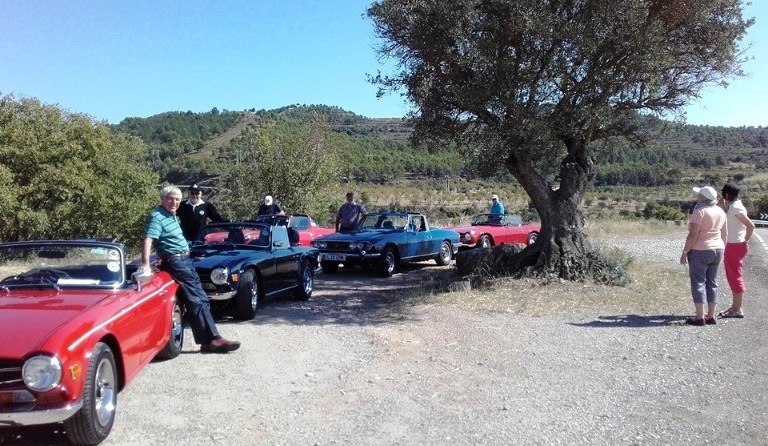 Fiona & Bill, Val & Den, Sue & Eddie, Sally & Mike and Moreen & Gerry took their cars on a trip to Spain, their trip took them on a tour of excellent Paradors with lots to see and do. Cars, Food, Music, Experiences, Nostalgia & Wine! So why not come along and listen to their adventures and how easy it is to take your TR touring abroad. See you there from 19:00 onwards.